On Wednesday evening 8/29 at Riverside Community Church, David M. Kennedy delivered information to about 200 to 300 Peoria citizens interested in the concepts of his book and hearing strategies and opinions on combating Peoria gun violence. In a riveting speech designed to not only stir emotions, but also conscience, Kennedy outlined a systemic problem starting with perceptions and stereotypes tracing their roots as far back as the civil rights era all the way to modern family life, education and inculturation. What was probably most shocking to audience members, was that Kennedy recounted that FBI statistics on crime are down to 4 homicides per 100,000 nationwide. He explained that those figures are deceptive and not representative of what's really going on in the inner cities. For example, neighborhoods such as the Crescent neighborhood of Rochester, NY reflect a 526/100,000 homicide rate among those who are actively engaged in drugs and gangs. He also noted the numbers are worse in areas such as Chicago's W.Garfield Park, whose 1500 gang members actually produce an equivalent homicide rate of 3,000/100,000. Exposing cultural stereotypes and questioning why these numbers aren't either the subject of the 2012 political debate and campaign promises, Kennedy unraveled what I call an ugly baby. A baby delivered almost DOA (dead on arrival) exposing that these high homicide rates exist among select groups of Blacks and minorities. These numbers exist among people who have become accustomed to crime, violence, incarceration, distrust and the disintegration of the entire community and the erosion of their family. As I sat there, I understood that what many people don't know is that since 1980 there have been over 300,000 homicides of Black people committed by other Black people in the United States. In other words the Black community is exploding and there is very little being done to stop it. One of the most disappointing realities of this session was that there were probably less than 50 Black people in attendance and less than a handful of Black Pastors and even less with churches in the affected neighborhoods, areas or communities. There could be many reasons for this, not to mention that Wed. night is a bible study night in many churches (which is something that could have been thought of if the intent was to involve the optimal number of Pastoral leaders and citizens within the affected neighborhoods...but I digress) I also thought that many of those civic "leaders" who were in attendance, were not going to hear this message from the Black community (as similar information has been delivered to City officials by Black men and has fallen on deaf ears) their thoughts and assessments discarded, in part, because of what is perceived as "racial pressures" or accusations of racism or irrational and emotional thoughts. 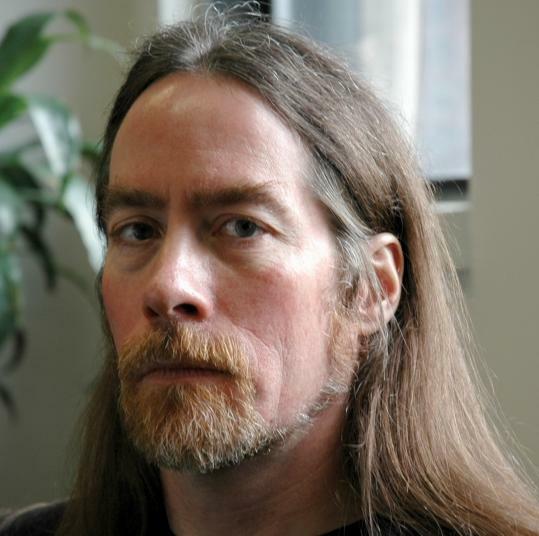 The good thing is that when a White man (David Kennedy) says the same thing and writes about it in a book, it can be perceived differently and seems to be more acceptable to some in Peoria. My feeling is however and through whomever the message is getting across...the message is finally getting across, and WE are glad! The Don't Shoot initiative involves a totally different approach to solving crime from an administrative level, and as Mr. Kennedy said, "...if Peoria is serious" there is potential that this program will have a positive effect on decreasing crime and violence and saving lives in Peoria. Let me examine some of the "elements" that have been recognized as being essential from a professional standpoint to make this program work. The States Attorney, Jerry Brady, seems to have taken an approach of community inclusion and accessibility which a very positive step. This is miles above former States Attorney, now Judge, Kevin Lyons, who was unavailable for anything other than the promotion of his political career while touting the fact that under his 20 plus years he was ready to "lock up" whomever he could. (with some major exceptions that will not be discussed here) ie: under the Lyons leadership the States Attorney office was simply uninvolved and there was no strategy that he would listen to that could come close to "Don't Shoot" with the exception of the DMI which came about toward the end of his tenure. Nevertheless, and Thank God, we are encouraged by Brady's approach in this regard. Quite frankly, when it comes to a community and community service, and life and death issues such as those we are dealing with in Peoria, people who are "incompatible" are compelled to meet one another and reach toward greater goals to secure opportunities, get things done, and potentially save lives. That leads to the next issue and something that I promised to deliver in a previous post. What If...The City Of Peoria Recidivism Plan??? Mr. Kennedy outlined the problems seemingly fanned by disproportionate incarceration rates of Blacks and minorities within America. As we reported in Black Education In Peoria..We Are Under-served? over half of the 2 million men in prison today are Black although Black men represent only 13% of the US population. Black men are also 6.5 times more likely to to be in prison than White men. Black men at a rate of 3,161/100,000 are under custody or care of the Federal or State penile system as compared to White men at a rate of 487/100,000. In essence, the system is slanted against the Black individual more so than a White individual. Not only that but there is also a link to education, (which is why we take such a bold stance on issues dealing with education as one can't effectively advocate for the Black community or community in general without advocating for better and more effective education) There is a link to opportunity as well. That opportunity to contribute to society is taken away from many Black men when they are arrested and there is little to no help in reintegrating these same persons when they have served their time and are trying to get back involved in society in a productive manner. 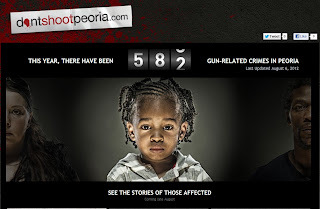 In Peoria plans to address this problem and subsequent issues go unheeded or are simply overlooked. For example, at a meeting in 2009, (quite a few murders and arrests ago) I pitched a recidivism plan to Police Chief Settingsgaard which outlined creating a community and a network around those who were trying to re-enter society from prison or jail. This program included access and mentoring from the pastoral community, citizenship training and outreach from police officials, and involvement of the business community for apprenticeship training and possible job preparation and placement. The plan was developed in response to the Chief's commentary and Peoria Police findings that new crimes annually were flat, while repeat offenders were increasing in incarceration rates annually. ie: The same people were basically committing crimes within the community and going to jail over and over. In a proposal that outlined reintegration and the creation of a system of accountability as specified above, and education for the particular target individual, the Chief simply responded by saying that it may be hard to get police personnel to "buy into" a program such as ours because many of the police had spent time, and had become personally involved in apprehending some of the individuals who would be reintegrating.??? I know...I said the same (or similar) thing....I don't to this day understand the objection. That was a ridiculous sentiment IF the aim is to address what we readily recognize is a problem segment and the source of crime and violence within the community. Is The City Ready For Fundamental Change? What am I saying? I am saying that IF this city is ready to FUNDAMENTALLY change their approach to crime and how that is addressed and solved, this program may have a chance. 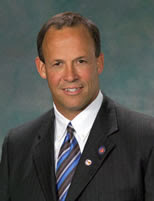 Although Mayor Ardis is excited about the book and the program, if Peoria is ready to do more than "window dress" or put on a program to "look good", restricting it to a certain select few as they have done since 2007 in many instances, this program can change the lives of many people who both live in and outside of the affected areas. However, one can't deal with gangs and drug dealers and simply walk away when one is tired. This effort must be sustained and inclusive and failure to involve individuals in the very same neighborhoods in which many of these crimes occur and have occurred is not a good move, nor is it sound wisdom. To set forth a program while ignoring the needs, culture (days that Black folk have church for instance) and individuals on the ground is not good either. A final note, although he (Mayor Ardis) didn't restrict or discourage the efforts of the Pastor's Assn., Mayor Ardis has committed to me in no uncertain terms, that there will be no Gun Exchange associated with this program. All I can say is that IF they are serious EVERY proactive measure should be considered and supported. Although a Gun Exchange is not the end all of any effort against gun violence, I will gladly give $100 to potentially stop and address gun violence before it occurs than pay the $40,000 per year afterward to lock up the one who shoots the gun, kills someone, destroys himself and potentially another family, providing him/her 3 meals and a cot on our dime. Don't Shoot, may have begun with a book, but it will continue with people who are unafraid to get dirty, believe in standing for and doing the right thing, have their feet on the ground and set forth a good faith effort to reach out to ALL those who have a stake in the issue and have suffered loss. Hopefully, this will be done the right way instead of the same old Peoria way that has led us, in many cases to what we see and experience at this point. btw: 1- The Gun Exchange was NOT co-sponsored by the city, this ws fully sponsored by the Peoria Assn. of Pasotrs. 2- A full listing of disposition WAS agreed on BEFORE the exchange and has not yet been delivered for our review. 3- I delivered a letter to his office only after he would not return calls and at least one email sent asking for the information or a time frame. 4- In the meantime, the Chief seems to have became upset as our organization spoke out on another public issue, dealing with the Police, that had nothign to do with this without "running it by him" first. Sounds like a huge misunderstanding with Settingsaard. That's unfortunate that he has taken such a hard stance that the doesn't appear to be able to move away from. You are officially under his skin. There were shootings again last night. There have been shootings every day since the book guy came to town. I guess the shooters haven't seen the billboard, the website or read the book yet. It was one of those "intentional" misunderstandings. Before any weapon was ever collected we had "agreed" that our association would be present when weapons were destroyed and receive a full detail or account for each gun taken in. 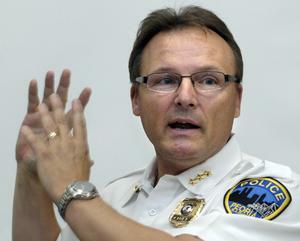 He, Chief Settingsgaard, NEVER responded to my multiple requests. I got Mayor Ardis involved and told him the situation. When the Chief finally did respond, it was through this letter and a packet outlining the destruction of the shotguns, but NOT the handguns. So if there was room for "misunderstanding" it wasn't on our part. We were clear. Pastor Randle of Higher Dimensions and Pastor Dye of Resurrection Power were in the room and present when agreements were being formulated and when much of this took place. The problem is this...neither the Chief nor advocates for him feel that they "owe" or have a "duty" of respect to the public and community. He as much states that in the letter. The problem is that he is wrong. By the very notion of him being a PUBLIC official, living off of the PUBLIC's tax dollars, he has a DUTY to the public, even me and the rest of us lowly pastors and citizens. Just like we have a duty to our church members, he has a duty to the community. Now all of that goes back to the issue of how this program will work. These officials cannot cut out or overlook individuals who have dealt in the community on this issuue and just move forward the way they want to. There were too few representatives from the Black Community at this meeting and the one's who were there such as me and some others weren't acknowledged or brought in to what is really going on. After the work I've been involved in since 2007 from City Hall to the community, I shouldn't have to ask anyone for a seat. 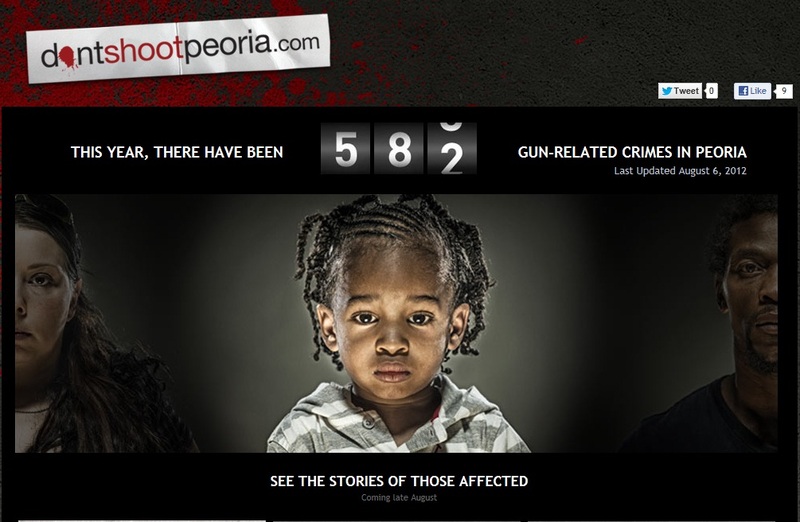 I've lost family to Peoria crime and violence...I AM a victim of this evil. NONE of them standing there can say what I can regarding this issue from PERSONAL experience. In addition, they know that I've been front and center on the issue...my DUES have been paid. Peoria MUST fundamentally change the way it addresses issues and involves people or else we'll continue to receive the results that we are receiving. the first stop is RESPECT not only for the criminal, but for the community that it must deal with in order to have a civil society. I give them a failing grade for a number of years and hope they can redeem themselves.